Vape pens make it simple to vape. These are vaping devices that come in the shape of a pen. This makes them comfortable to hold and easy to carry around. They’re also simple to use, affordable and will provide great flavor thanks to their use of a tank. But with so many different options, it can be hard to find the right one for you. That’s why we’ve put together this list of the best vape pens for e-liquid in 2019. These vape pens have been selected based on their performance, reliability, portability and ease of use and come from vaping manufacturers that you can trust. For the absolute best e-liquid vape pen, look no further than the Freemax Twister. Each color comes in it’s own unique, graffiti-styled design. The Freemax Twister is also perfectly sized so it’s comfortable to hold and easy to take on the go. The Twister will fire up to a maximum of 80W. Unlike most vape pens, the Twister gives you the ability to adjust your wattage. Using a ring at the base of the device the wattage can be adjusted in 5W increments. To support this high wattage output, it packs a large built-in 2300mAh battery. This will definitely get you through a day of vaping and then some — even if you’re vaping at higher wattages. Around the fire button is an LED indicator to let you know how much charge you have left. 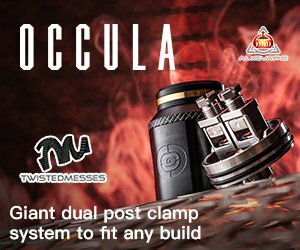 As if that wasn’t enough, the Twister kit also comes with the new Fireluke 2 sub-ohm tank. Fireluke tanks are known as some of the best on the market and the Fireluke 2 is no exception. You get two mesh coils included with the tank and they both deliver incredible flavor. The tank will hold up to 5 ml of ejuice and has a push-to fill system. For airflow, there are two large airflow slots that can be adjusted to your liking for a flavorful DTL draw. It hits all the right spots for a vape pen, and then some. Well-built, flavorful and reliable, the Freemax Twister is our top recommended vape pen for e-liquid. Appropriately named, the SMOK Stick V9 Max pushes the limits of what’s possible with a vape pen. It’s got a huge 4000mAh battery, one of the largest in a vape pen, and it comes with the Stick V9 Max sub-ohm tank. This tank will hold a massive 8.5ml of eliquid allowing you to refill less and vape more. This is great for those who vape a lot and find themselves refilling multiple times a day — at minimum this tank will cut your refills in half. It comes with single mesh as well as quadruple coils and both coils are rated at 0.15 ohm for a flavorful sub-ohm experience. For airflow there are three fully adjustable airflow slots at the base of the tank. The Stick V9 Max uses a single button on the entire device: the fire button. Otherwise, there are no switches, knobs or dials to worry about adjusting; the V9 max automatically adjusts the wattage output based on the current battery level. Simply fill your tank, let it prime, and start vaping! An LED indicator will glow green, orange, or red to let you know your battery charge level. Not just for beginners, the Uwell Nunchaku brings versatility and capability that even advanced users will love. Powered by a single 18650 battery, the Nunchaku is super user-friendly thanks to its OLED screen which displays your current wattage, battery life, resistance, and voltage. There aren’t many vape pens with a screen, so this is a welcome and useful addition. Using the adjustment buttons located just above the screen you can adjust the wattage of the Nunchaku all the way up to 80W. The ability to adjust your wattage means that you can experiment and find the perfect wattage for you. Plus, for more experienced vapers, it also has NI TC mode, SS TC mode and Bypass mode. The Nunchaku sub-ohm tank uses claptonized coils that deliver large and tasty cloud production. The tank will hold up to 5 ml of ejuice and features dual adjustable airflow slots at its base. Paired with the Nunchaku mod this tank is an absolute beast. It’s no wonder why the Uwell Nunchaku is one of the best vape pens in 2019. Stylish as well as modern, the Plexar is Innokin’s most powerful vape pen yet. It uses either a single 20700 or 18650 battery for power and this gives you the option of swapping batteries out when you’re running low on charge. The Plexar has only a single firing button on the device and this makes it perfect for beginners. The Plexar has a maximum wattage of 100W and will automatically adjust itself depending on the battery level. It also has multiple battery safety features built in such as overheat protection, charging protection, short circuit protection and over-discharge protection. In fewer words: you’re safe with the Plexar. Included with the kit is the Plex sub-ohm tank. This tank is 24mm in diameter and has a 4ml tank capacity. It also has two bottom airflow slots that can be adjusted to your preference. But the most interesting feature of the Plex tank is its wicking material. Instead of cotton, the Plex uses an eco friendly wood pulp to wick its 0.14 ohm coils. Flavor wise, it might just be the best coil you’ve never tried. The Aspire Tigon is one of the best vape pens for beginners. It offers a tight mouth-to-lung draw, similar to that of a cigarette, and comes with two drip tips: one for MTL vaping and one for restricted DTL hits. It also has a large 2600mAh battery built in that is perfect for all-day use. The Tigon functions on a variable voltage output and will fire from 4.2V when fully charged down to 3.2V. An LED indicator lets you know your current output and battery life by glowing pink, blue or red. The included Tigon tank will hold a max of 3.5ml of eliquid and is conveniently top-filled. You get a 0.4ohm coil for regular ejuice, as well as a 1.2ohm coil meant for nicotine salts. Both coils offer great flavor and performance. The airflow is made up of five small holes for a tight, MTL draw. The Geekvape Flint is a vape pen starter kit made specifically for mouth-to-lung vaping. It’s smaller than your average vape pen at 55.6mm tall and 22mm in diameter and houses a built-in 1000mAh battery. Interestingly, the Flint is also IPX5 water resistant. The Flint has a variable voltage output and will fire at 3.8V when fully charged. As your battery level decreases, so will the strength of the draw. There’s a three-color LED indicator light to let you know your current voltage output, as well as your battery life. When the LED glows red you have less than 30% battery left; I would start looking for a charger! The Flint MTL tank pairs perfectly with the mod. It’s a true MTL tank that delivers tight, satisfying draws. The airflow consists of five different sized slots. These can be adjusted to suit your preferred draw tightness. You get two coils with the kit: a 1.2ohm coil meant for regular eliquid and a 1.6ohm coil for nicotine salts. Both use organic cotton as their wicking material and NI80 coils for a flavorful draw. What Is An E-Liquid Vape Pen? An e-liquid vape pen is a mod that is round and tall, and looks like a tube. In the past, vape pens were actually a similar size as pens. However, nowadays vape pens are much larger and wider in order to accommodate larger internal batteries and larger diameter tanks. Regulated e-liquid vape pens, like the ones found on our list, come with a variety of battery safety features built in. They work very similar to regulated box mods; they maintain a safe wattage output to your coil and ensure that you’re not overdrawing from your battery. Vape pens are the go-to for beginner vapers because they make it easy to start. You get everything you need in the box with little-to-no assembly needed. In addition, most vape pens only have a single button and this makes them super straightforward to use. If you’re just getting into vaping, vape pens are the way to go. Vape pens come in many different varieties and sizes. But the most important differentiating factor between them is how they deliver power to the tank. There are three types of vape pens: adjustable, direct output and constant output. Adjustable: Adjustable vape pens allow you to manually adjust the wattage going to your coil. This gives you a greater level of control over the type of vape that you want. If you want a denser, hotter, and more flavorful hit you can crank the wattage up. For lighter, cooler hits you can turn the wattage down. These vape pens typically fire at a higher wattages and require more power out of the device. For these reasons, adjustable vape pens usually use a 21700 battery or pack a high-capacity internal battery. Direct Output: Direct output vape pens regulate and deliver power to your coil based on the charge level of the battery. When the battery is fully charged you’ll get maximum power and flavor. As the battery depletes, you’ll notice the draw gradually getting weaker. These devices typically function on a range from 4.2V to 3.2V. Constant Output: Constant output vape pens function at a consistent voltage even as the battery depletes. These devices usually output 3.7V for the best draw and flavor. Constant output mods come with a chipset to regulate and deliver this constant voltage. When choosing a vape pen it’s important to consider what type of draw you’re seeking. 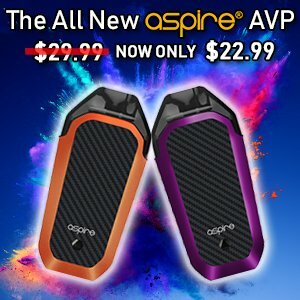 If you’re just transitioning from smoking to vaping, you might like a tight MTL vape pen like the Aspire Tigon or Geekvape Flint. If a super tight draw isn’t your thing, the Freemax Twister or SMOK Stick V9 Max are two prime choices for large, dense hits. Battery life can also be a big deciding factor for some. If you’re constantly on the go, you’ll want to pick up a vape pen with a larger battery to last you. Just as good is a vape pen with replaceable batteries. This will allow you to swap batteries on the fly and keep you from being stuck without a vape. No matter what type of vape pen you’re looking for, there’s something for everyone. JUUL Coupon Code – SAVE $20 on a New JUUL Starter Kit!